Sometimes efforts to change problematic behaviour, while perfectly valid in themselves, are just not enough for people whose thoughts, emotions and impulses are in a chaotic state. In fact, these efforts may prove counterproductive if people feel invalidated by too strong an emphasis on the need to change. They have to come to terms with their problematic behaviour, and know it is understood and accepted as a means of coping with challenging circumstances, before they can move on to exploring more positive, socially adapted behaviour. This is where Dialectical Behaviour Therapy (DBT), a form of behavioural therapy, has proven to be one of the most effective treatment programmes applied today. If the two principles of acceptance and change seem paradoxical, it is precisely this synthesis of apparent opposites that we try to achieve at The Huntercombe Group (THG) by applying the techniques of DBT. Dialectics is about resolving contradictions, or recognising that more than one truth may apply in any given situation. DBT therapy uses this concept to help individuals build a life worth living. DBT therapy was originally developed by US psychologist Dr Marsha Lineham in the 1980s, as an extension of standard cognitive behavioural therapy (CBT) for individuals who struggled with suicidal thoughts and self-harming behaviours. Too often with CBT, Dr Lineham and her colleagues found that patients were shutting down or withdrawing from treatment under pressure to enact changes they were not yet ready for. Many patients, who had often come from highly invalidating environments in which emotional vulnerability was dismissed as irrational, were frustrated because they did not believe CBT really recognised the struggles they were going through. In the years since DBT was introduced, research has shown its effectiveness in treating a wide range of mental-health difficulties, including eating disorders, depression, anxiety, self-harm and as a form of borderline personality disorder treatment. Across the UK, the presentation of individuals requiring inpatient admission has become more complex, with increased levels of risk and severity of illness. With the ever-increasing evidence base for DBT therapy, Huntercombe believe it to be a robust and comprehensive treatment approach that meets the needs of young people who need inpatient admission. 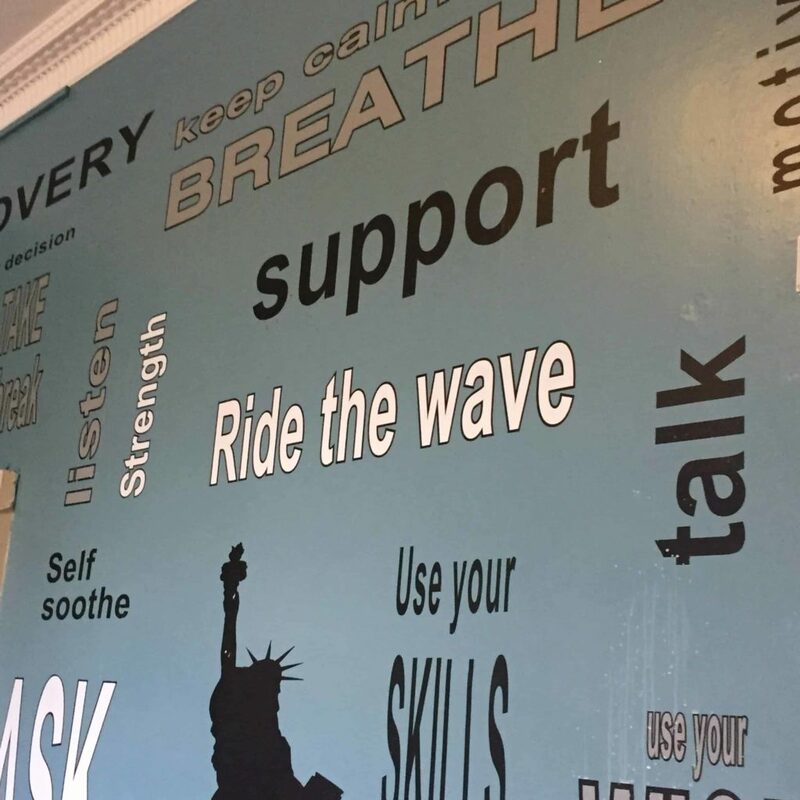 DBT forms a key element of some of Huntercombe’s treatment programmes for young people with our CAMHS hospital in Edinburgh offering an intensive DBT recovery programme. DBT accepts that when patients start treatment, they are doing the best they can for their condition: that intense emotions are normal, and although the patient is doing all they can to manage their difficulties, their behaviours are not helping them. The long-term goal is a ‘wise mind’ that can balance emotion and reason. This involves patients learning to recognise and respect feelings while responding to them rationally using a range of skills. The wise mind resolves the apparent contradictions between the emotional mind, where feelings control a person’s thoughts, impulses and behaviour; and the reasonable mind, where a person makes decisions based on facts and rational consideration. The therapy is carefully structured and operates on a hierarchical basis, so that the most severe problems are addressed first. Typically people presenting for treatment may have multiple issues that require addressing, sometimes with multiple diagnoses. The first priority is life-threatening behaviour, followed by any behaviour that interferes with effective treatment, then any behaviour that undermines quality of life. All the while, the patient will be learning new adaptive behaviours. DBT teaches four main sets of skills to help patients achieve validation, identify and come to terms with the sources of their problems, and find new ways to manage these problems both individually and in their relationships with other people. Mindfulness. This is about learning to focus awareness on the present moment, to acknowledge and accept our thoughts and feelings as they occur, and to gain an understanding of our own behaviour. By reconciling the ‘emotional mind’ and the ‘rational mind’, we can achieve a ‘wise mind’. Distress tolerance. This teaches us how to tolerate challenging feelings, without resorting to harmful coping strategies, when situations are difficult or impossible to change. Emotional regulation. This helps us to understand and manage intense and painful emotions without being overwhelmed by them. Interpersonal effectiveness. This teaches us how to get along with other people, manage conflict within relationships, and be assertive when needed. According to the standard protocol for DBT therapy, at Huntercombe Edinburgh we run group sessions to teach these new behavioural skills, as well as individual therapy sessions to help patients manage their own emotional responses to difficult situations, maintain their motivation to change, and apply the behavioural skills they are learning in their own lives. Patients can also ask their DBT therapist or any other member of the DBT team for guidance and support assistance at any time between coaching sessions. Therapists get their own group sessions as well, to consult with other clinicians, reflect on the treatment programme, and improve their own skills. When treating young people, DBT has an additional module for parents and carers called “Walking the Middle Path”. This is a joint patient and parent/carer group which focuses on learning that there is more than one way to see a situation or solve a problem by balancing acceptance and change. 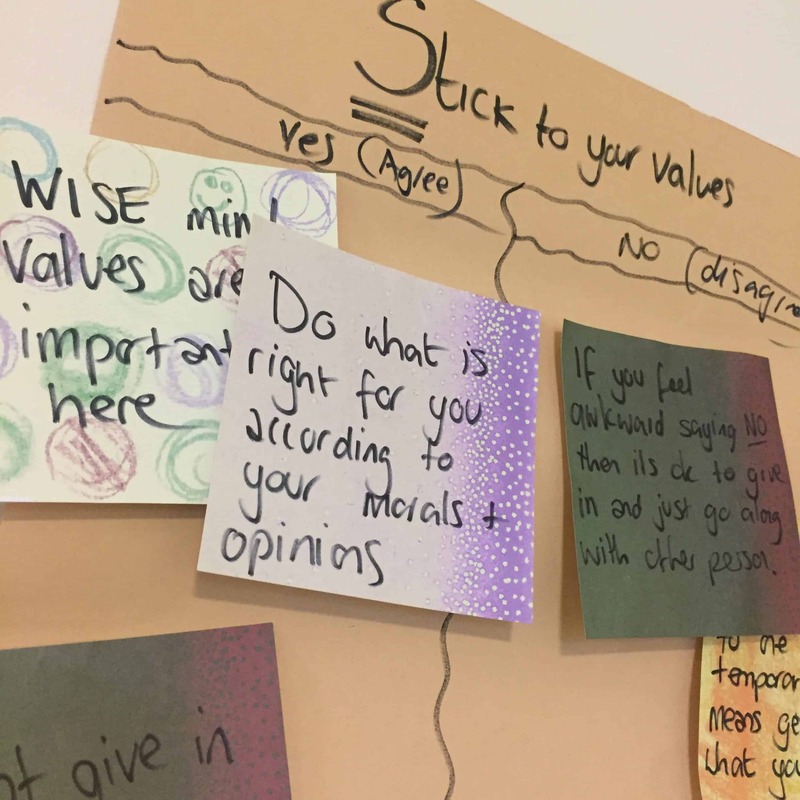 The module emphasises the dialectical view that two opposites can both be true, a perspective that helps patients and their parents to work on changing painful or difficult thoughts and feelings, while accepting themselves as they are in the moment. By applying DBT techniques and DBT skills across a range of mental challenges, we can steer patients towards a more balanced mindset where they are reconciled with the realities of their condition, its history and the way it manifests, while at the same time looking to the future and the opportunity to change behaviour to their own benefit and that of the broader community.